What characterizes the discourse that takes place on social media platforms involving municipal pages and their fans? 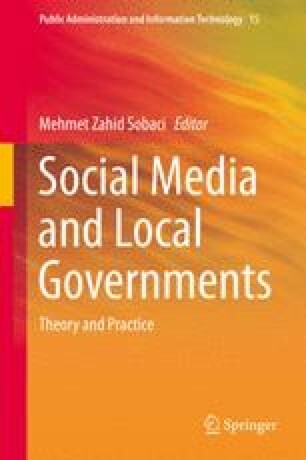 Does the character of the activities on these social media platforms differ in periods preceding or following municipal elections, compared to non-election periods? The article examines the scope and character of Facebook activities on Israeli municipality pages before and after municipal elections, in comparison to non-election periods. For this purpose, the article surveys municipalities’ Facebook presence and analyzes its correlations with socio-demographic and geographic indicators. The distributions of various engagement indices of municipal pages (number of fans, and average number of likes, comments, and shares of posts) are presented, and the contents uploaded by the page managers and fans are compared. We conclude by reviewing municipalities’ Facebook activity and engagement over time, with the aim of identifying changes in Facebook pages in pre-election and post-election periods. The study was conducted with the support of the Institute for the Study of New Media, Politics and Society at Ariel University. We thank Bar Ram, Hadas Schlussel, Valery Aronov, Veronika Makogon, and Avital Mandel for their assistance in data collection and processing and in the preparation of this manuscript.